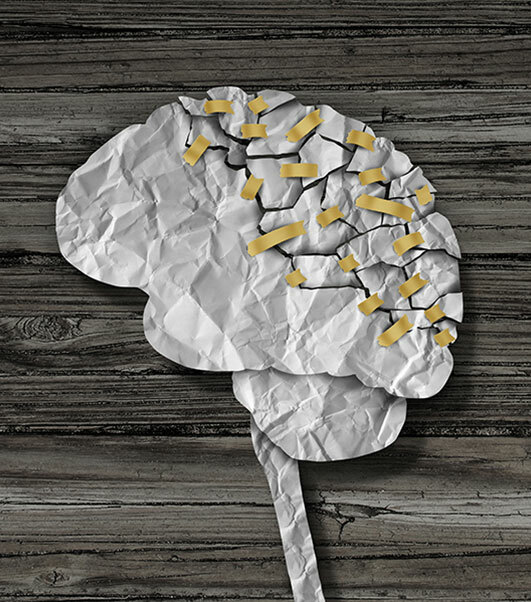 Recovering from brain injuries can be excruciating. It takes a long time to adjust to the changes and the complex nature of treatment. We make you feel at home at our center while helping you go through the best neurophysiotherapy in Chennai. We play the role of being the best stroke rehabilitation Centre in Chennai by offering options even for multiple sclerosis treatment. We are not just any other pain & stroke rehab Centre, but an all-inclusive recuperation station providing a new way forward for the affected many. Our comprehensive, interdisciplinary team approach (i.e. care being provided by various disciplines in a coordinated fashion) with Physician (Physiatrist), Physiotherapist, Occupational Therapist, Speech and Language Therapist, Neuropsychologist, Nutritionist and a Nurse can help reduce your symptoms directly related to the injury as well as prevent and treat common medical complications post brain injury. Not all patients will require all services and usually, a combination of these services is required for an individual patient. You will be evaluated at the initial visit to determine what services you require and a tailored treatment plan will be initiated. Patients will be evaluated by the Physician first to determine the nature and severity of the medical condition then come up with a treatment plan that best suits them. Depending on the patient’s symptoms and medical complications (listed above), the treatment plan will include recommending therapy services, prescribing medications and performing injections. Medications are commonly prescribed for medical complications as well as to reduce symptoms directly related to brain injury such as arm and leg weakness, muscle tightness, speech impairment, mood and behavior issues, cognitive impairment and impaired arousal. The physician performs injections such as tendon injections, joint injections for joint or muscle pain as well as Botulinum toxin (commonly referred as Botox injections) and nerve block injections to help relieve muscle and tendon tightness. A Physiotherapist will focus on various physical exercises to improve weakness in the arms and legs, improve their walking and balance and to reduce muscle tightness. They might use physical modalities to reduce pain and inflammation, muscle and tendon tightness and prevent muscle atrophy. They can also fit you with an orthosis to reduce muscle tightness as well as improve your walking and arm function. An Occupational Therapist will focus on various physical activities required for daily living for patients with severe physical and/or cognitive impairment and also teach cognitive exercises thereby compensating the cognitive deficits. Visual Training exercises are provided to individuals with visual impairment due to the neurological problem. The final phase of treatment involves patient training for successful community integration (education, employment etc). A Speech Language Pathologist (commonly referred to as a Speech and Language Therapist), will evaluate the patient’s speech, communication and swallowing skills. The treatment plan is broken down after an initial evaluation. The program will vary depending on the extent of the injury, the stage of recovery, and the individual’s particular areas of difficulty. Specific retraining and compensatory exercises are taught to improve the above skills. However, the major focus is on helping the individual gain back his/her quality of life. A Neuropsychologist evaluates patients with depression and anxiety, that is commonly seen after any major life-changing illness or injury and guides them through the process of rehabilitation thereby improving their quality of life through motivation and counseling. Performing an in-depth cognitive assessment and planning cognitive re-training exercises and compensatory strategies is also a major treatment aspect of a Neuropsychologist. A Rehabilitation Nurse trains patients with central nervous system injury to manage their bowel and bladder independently. Performing and training wound care management for patients with pressure ulcers are also handled by a Rehabilitation Nurse. Depending on the severity and chronicity (time duration since injury/illness) of the injury/illness, your recovery time may differ. Complete neurological recovery is often possible if the injury is mild to moderate. In the case of a moderate to severe injury, a complete neurological recovery may not be possible and therefore we will help you be as independent as possible and integrate you into the community despite your physical and/or cognitive limitation. If the injury is too severe, then the goal would be to improve your quality of life by helping you be as independent as possible with your day to day living, decrease pain and prevent complications.